Edwardian White Ironstone Butchers Potted Meat Dish. 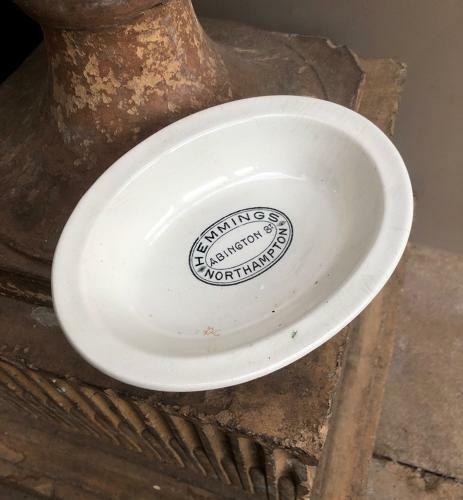 The Butcher would sell his potted meat in this dish & similar dishes & as the buyer used it the Butchers name was revealed. HEMMINGS, ABINGTON ST. NORTHAMPTON. Great little advertising pieces. The Customer then took the dish back the next week on their next visit. Good condition, no cracks or hairlines.